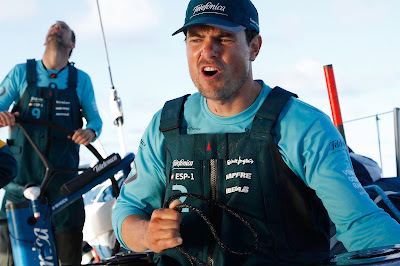 Ocean racing is one tough gig and at times a very frustrating one when the conditions lighten up as they did yesterday. 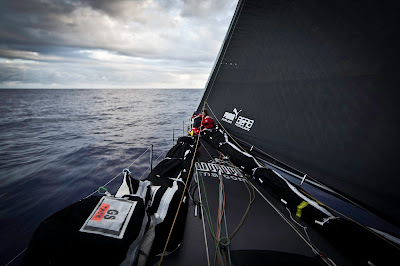 Skipper of PUMA’s Mar Mostro Ken Read's hard day at the office just got worse when the Spanish opposition Telefónica got away and the powerful black cat was caged, helplessly caught under a cloud line. 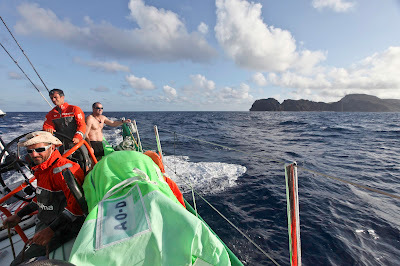 “They put on their left blinker at Fernando (de Noronha) and never looked back. They committed to the high land, and, by the time we wanted to start to lean in that direction as well, we simply could never get there,” Read said. Although Read and his men paid heavily for their mistake yesterday, overnight the situation improved and at 0700 UTC this morning, Mar Mostro had made small inroads into Telefónica (Iker Martínez/ESP) and both boats were averaging 12.5 knots, although the wind was dropping for both boats. 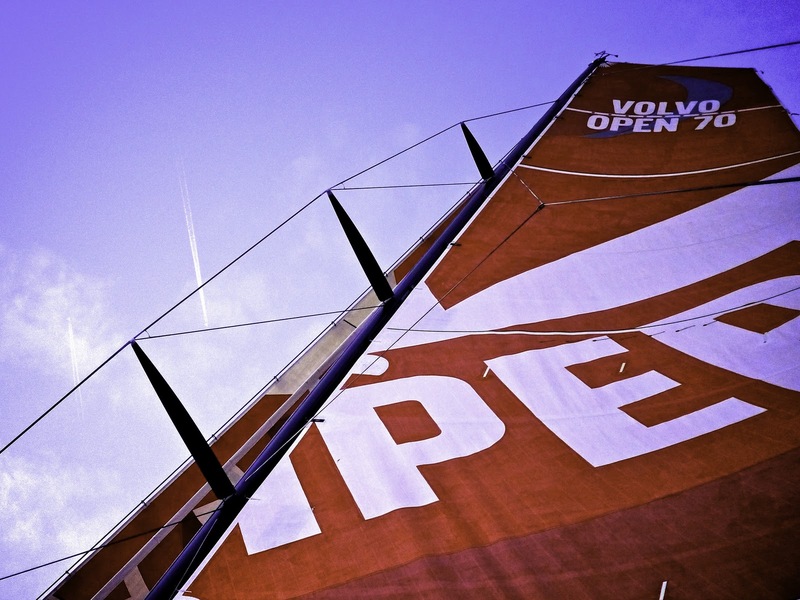 By 1000 UTC, PUMA’s average speed had dropped to 11.7 knots, while Telefónica continued to romp along at 13.2 and PUMA’s Mar Mostro had lost five nautical miles (she is now 51.6 nm behind the Spanish in terms of distance to finish). 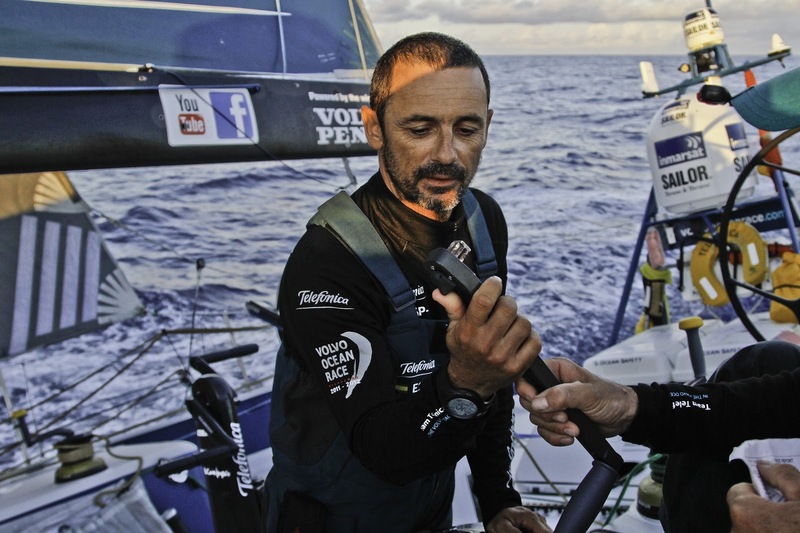 Read was pragmatic about the situation, having led for much of leg one. “Time to get back to work and try to stop the bleeding first, make gains second,” he said this morning. Meanwhile on board CAMPER Australian skipper Chris Nicholson is in third place as navigator Will Oxley faces a dilemma as he studies the two high-pressure systems in the south Atlantic, which are separated by a cold front. “We are watching the cold front carefully as there is little or no wind underneath it. It looks like our route will take us underneath the eastern high-pressure system, but the big question is: how close can we go to the high pressure?” he asks. 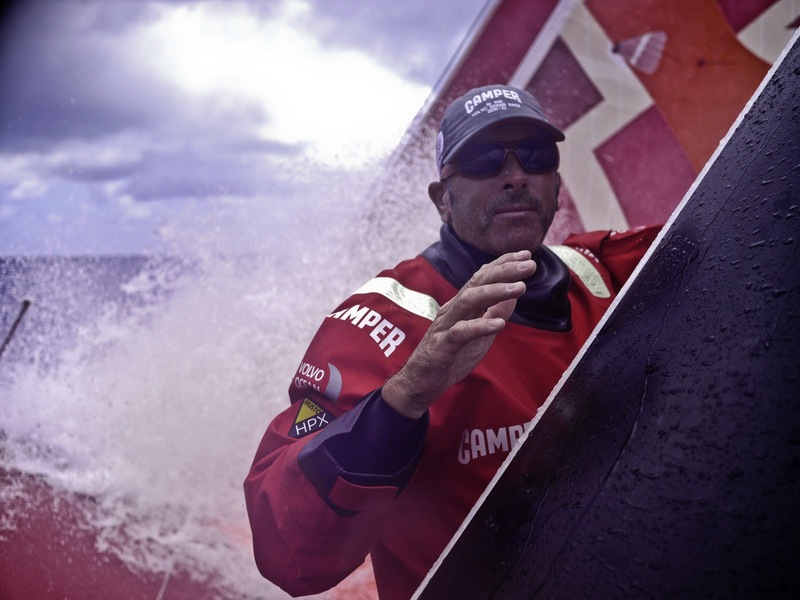 The closer CAMPER sails to the high-pressure, the shorter the distance to Cape Town, but then they risk becoming entrapped in the windless area that could be lurking in their path. The French team on board Groupama 4 (Franck Cammas/FRA) are still heading south, while the three boats ahead have begun their turn to the left. 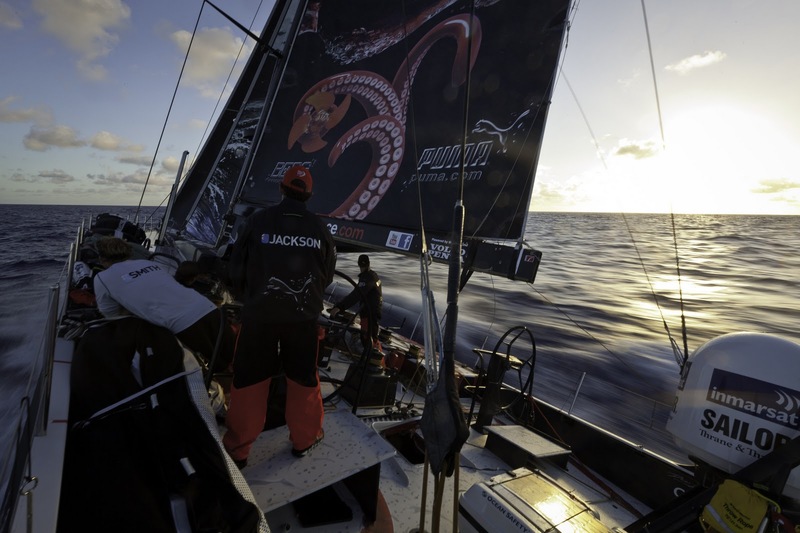 They now lie 415 nm behind Telefónica, but have also gained a mile in the last three hours. They still have good wind and are averaging 16 knots, the highest speed in the fleet. Looking ahead, there will be some fast and furious miles to be had next week when the fleet manages to hook into a front that will pass under the high-pressure system. 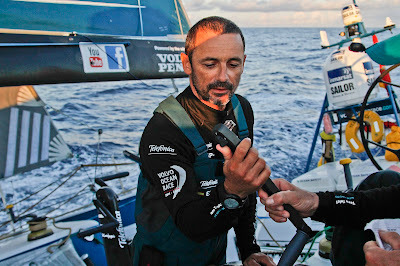 Thermals will be reached for, and the heat and the sweat of the Doldrums will be long forgotten, at least on this leg.